B U B B L E G A R M: Sleek Mediterranean Collection.. Guess what I got through the post this morning? Yep, Sleeks new 'Mediterranean' collection which includes the Santorini blush, Monte Carlo lip conditioner and Monaco palette. I was discussing the collection with my sleepy eyed husband at the breakfast table and clearly he didn't appreciate my enthusiasm for colours and textures. So I had to share swatches and my initial reaction with you right away as I needed to let it all out! The collection hits Superdrug stores on the 8th of June. 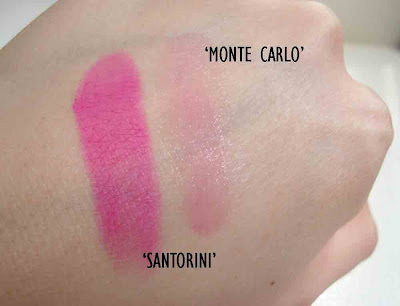 Here's the Santorini blush (£4.29) and the Monte Carlo lip conditioner (£4.29). 'Santorini' is a matte cool toned bold pink shade which is incredibly pigmented. Personally it's way too bright for me and not something I'm that excited about for now. 'Monte Carlo' is a sheer cool toned pink lip conditioner, it's a nice shade to have but not something I'm crazy about and I'm also not a fan of the scent. The colours scream "Mediterranean" with coppers, browns, blues, greens and sandy browns. The best thing about this palette is that there is a range of highlighting, base and crease colours with a mixture of matte and shimmer textures which don't contain glitter. Clearly a perfect product to travel with for a holiday as these colours will compliment a sandy beach, clear blue seas and a golden tan all for an afforadble price and in compact packaging. The matte dark navy blue will be stunning for a smokey look, and the matte turquoise will look great on the lower lash line... Ahhhh I want to decorate my eyes with these colours right now! I will be sure to post a fotd when I do! I couldn't help but associate some of the colours to some from my Mac palette, 'Sunset' is a very close dupe for 'Coppering' e/s by Mac. 'Bamboo' is a matte cream colour that is a tad more creamy looking as opposed to white like 'Brule' from Mac. 'Humming Bird' is similar in tone to 'Steamy' from mac down to the slight golden shimmer but just brighter in tone. 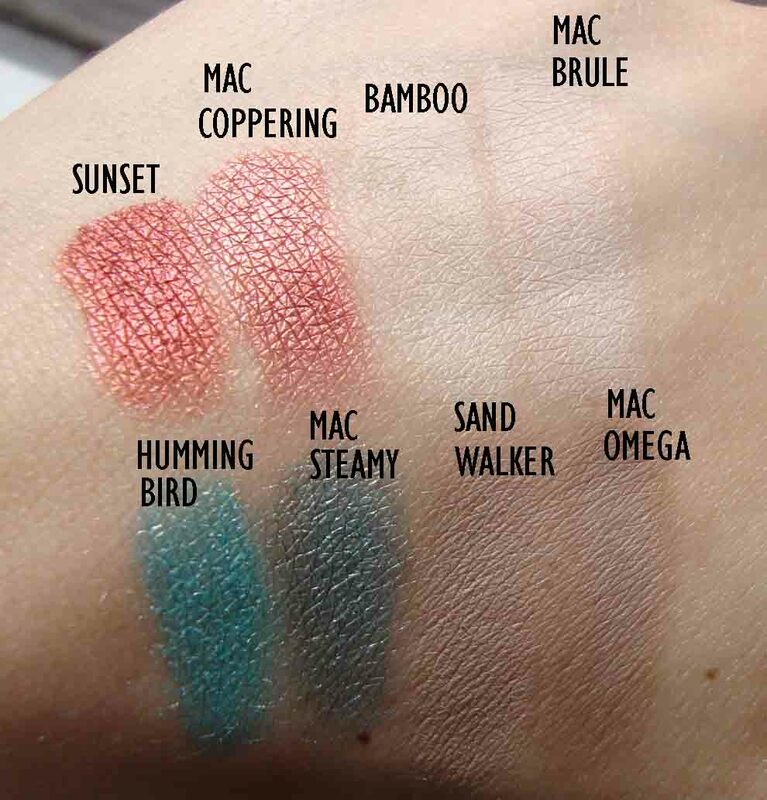 'Sand Walker' is a shade lighter in tone than 'Omega' from Mac. What's your favourite from this collection? Disclaimer: Products mentioned were sent for review, I was not paid for this post and I am not affiliated with the brand. Honest opinion as always. Looks really nice, some of the colours are amazing! 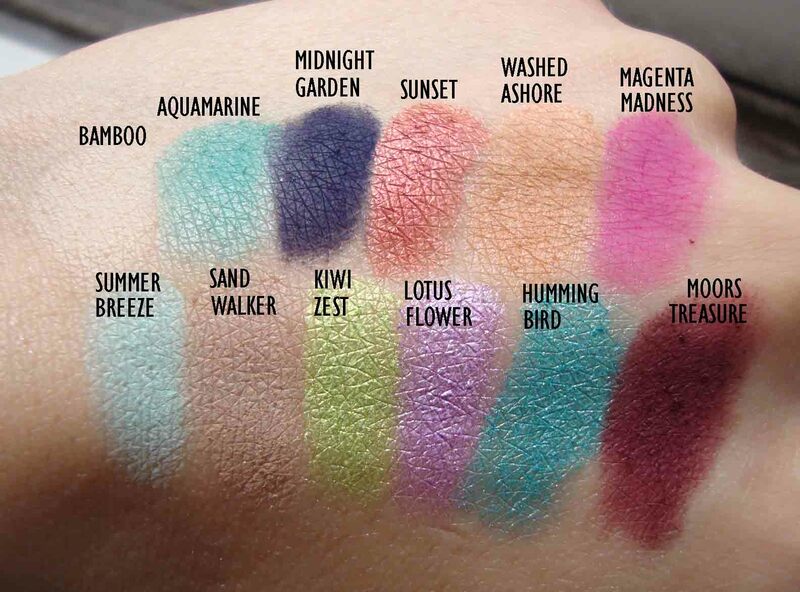 Lotus Flower and Hummingbird are beautiful! I skipped the last Sleek palette but I can't wait to get my hands on this one! I have the "sleek storm palette" and I ♥ it! I actually quite like the look of the lip balm, but then again I don't know what it smells like and if I don't like the smell I definitely won't wear it. Thanks for the swatches of the eyeshadows, and for comparisons to MAC. wow that collection is beautiful.. i wish we had sleek in canada! I'm loving the look of hummingbird and kiwi zest. Apart from the colours, the names are so cute! I'm really hoping I can get my hands on this collection! Just wow! Amazing collection! Your swatches are really helpful as usual! Thanks so much for taking your time and doing it for us! Lots of love for you and baby bubblesssssss!! 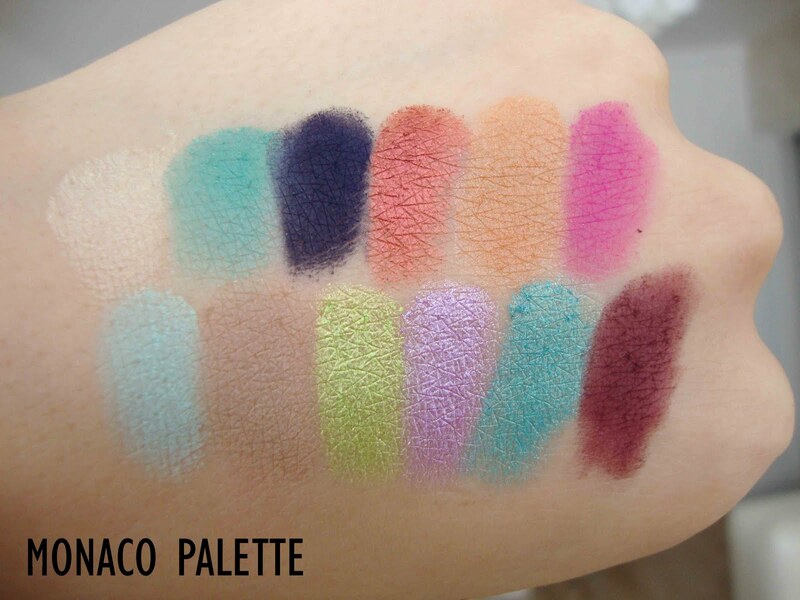 I love your swatching for these! I think this palette isn't great for light or pale skin tones but it is a great set of colours. People may be put off initially by how bright they are.